Over the past two years, I have had the unique opportunity to explore the intersection of gender and scientific research. As part of a collaborative project between female and male researchers of different ages and backgrounds, we considered how gender – and specifically, femininity – shapes the experiences of female scientists conducting fieldwork around the world. The project, a compilation of personal, reflective stories from fifteen contributors, explores broad themes of access, attire and conduct, sexual harassment, personal safety, and accompanied research and well-being while conducting research in the field. Working on this project, which will be published as a book, Femininities in the Field, in February, provided me with a new lens to reflect on my own experiences as a female scientist. My chapter in Femininities in the Field, written about my time conducting qualitative, field-based interviews with fishermen and local environmental leaders on the Caribbean island of Nevis, explores how being young and female can both help and hinder one’s ability to build trust, access information, and balance opportunity and risk while conducting fieldwork. 1. How does my gender influence the research I do? And conversely, how are my experiences shaped by my gender? Whether in a lab or in the field, gender influences our experiences and interactions with others. These interactions can influence how data is collected and how the scientific process is conducted, as well as the overall well-being of the researcher. During my own experiences conducting qualitative, field-based research in the Caribbean, I found my gender to be both advantageous and limiting. I found that being young and female – which may be perceived as less intimidating, especially when discussing controversial topics – encouraged the flow of information from interviewees. 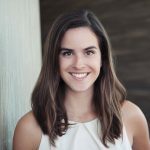 Conversely, my awareness of my personal safety – an awareness that I, and many young women like me, have in all aspects of life, not just in the field – undoubtedly influenced how, where and with whom I was willing to conduct interviews. 2. What role does gender play in the topics I study? Beyond the role of the researcher, components of gender are key factors in addressing many environmental issues. In coastal, small-scale fisheries around the world, women comprise roughly half of the total workforce – yet fisheries are still perceived to be a male-dominated sector. Shedding light on women’s contributions to fisheries, as well as exploring ways in which gender equality and opportunities can be supported, are growing areas of focus in both regional and international fisheries work. 3. How can my gender and unique perspectives contribute to science and problem solving? My most significant takeaway from working on Femininities in the Field is that the influence of gender is multifaceted, and that identifying the positive ways that one’s gender can influence research, such as more easily accessing local knowledge or more quickly forming relationships with other women in a village, can be a valuable and empowering exercise. Reflecting on how we are perceived and how we view the world can help improve the ways that we approach problems, interact with others, and conduct sound science. 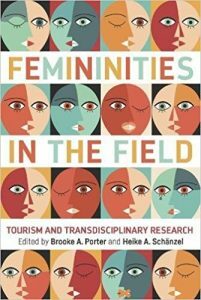 Many thanks to the editors of Femininities in the Field, Brooke Porter and Heike Schanzel, as well as my co-author, Russell Fielding. More information on Femininities in the Field can be found here.